Helping those in time of need can seem overwhelming but with these Seven Free Services you learn How to Organize Meals for Friends, Family and Those In Need easily and quickly so that the help can start right away. 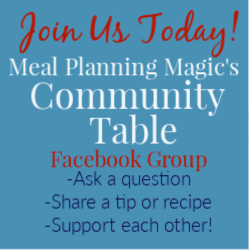 Click here to PIN this post How to Organize Meals for Friends, Family and Those In Need – Seven FREE Services To Try! This post originally appeared on my blog almost six years ago so I thought it was time to revisit it and share it with more of you! The good news is, all of the services I originally reviewed are still going and many have made improvements and updates over the years. When my kids were younger, it seemed like there was always a need to help out with meals and other services when new babies were born. As my kids grew, the needs moved on to requests from the PTO to help with special events for the teachers. Over those years, sadly, there has been a need to help those who have a family member pass away. No matter the circumstances, helping others is just one way to help make things a little easier on those who are on the receiving end. But it’s much more helpful to have one person coordinating meals or other helpful services when someone has a new addition, is ill or recovering from surgery or after a loved one has passed away. Like I said, even our school has taken advantage of using an online meal coordinating service to find volunteers to help out with the weekly teaching team snacks. It’s a way for recipients to get healthy meals and avoid the drive thru or other prepared foods all the time. I remember after my children were born, I was lucky have lots of friends that wanted to help by bringing our family a prepared meal. That meant less time worrying about making dinner and more time to focus on the baby. Back then (which was over a decade ago now), meals were usually coordinated by one person and she assigned the days, followed up to make sure the meal was going to be delivered and let me know who was bringing what and when to expect it and made sure not everyone was planning to bring a lasagna. Not to mention the multiple emails the coordinator had to send out and the extra emails the group received when a “reply all” email was sent. While the efforts were truly appreciated, times have changed and there are many online services now that help make the coordinator’s job a bit easier. Whether it is through your church, moms group or just neighbors and friends, I’ve collected a list of all the services I found online that may help make coordinating helping others a bit easier! Each one offers a little something different and all of them are free to sign-up and use. Remember to think beyond just delivering meals, too. Some families can use help with childcare, housekeeping, grocery shopping or other errands and more (which some of these sites help you coordinate too!). Just click on the service name and it will take you to each one’s website so you can check them out yourself! 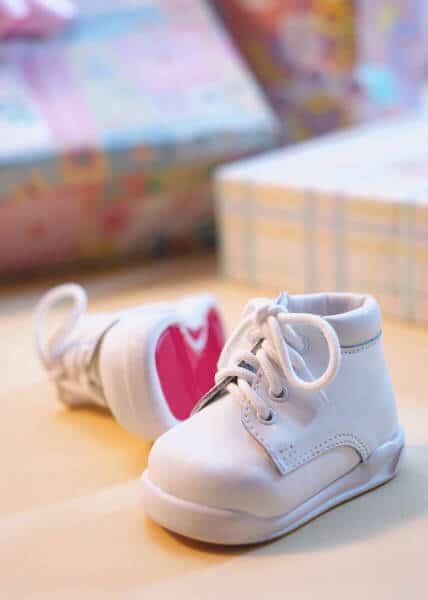 • Allows you to schedule services beyond just bringing a meal like housework, running errands, childcare. • Gives maps and driving directions to recipient. • Sends email reminder to participants before their scheduled day. • Receives email reminder before the meal date. • Allows you to post comments for everyone in the group. 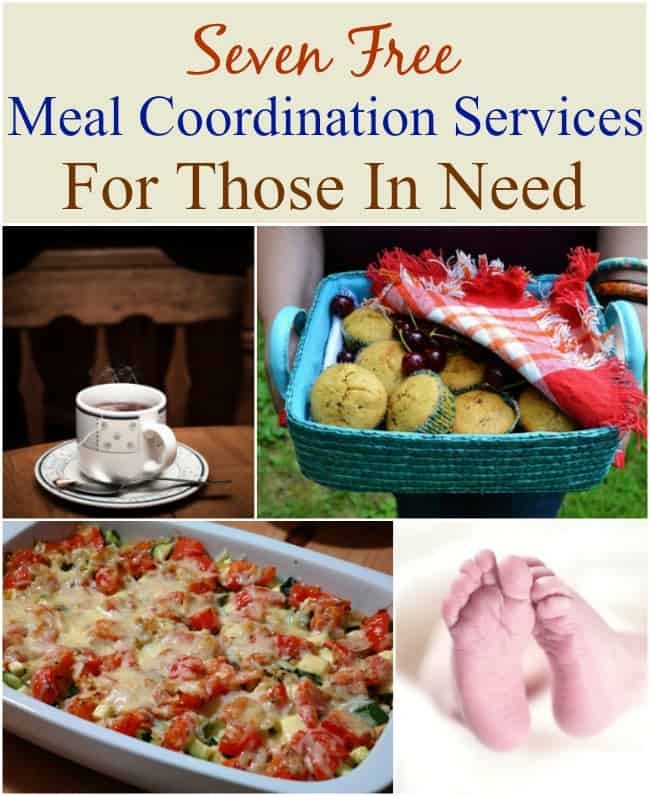 • Has options to help with meals for families but also with care services. • Also works for coordinating volunteers for schools, churches or other groups. • Offers a sample schedule to let you know how it works. • A Bowl of Good program allows participants to order meals and have them delivered (frozen) to the recipient. Available in 24 of the 50 United States, primarily in the northeast, Midwest, mid-Atlantic and southeast part of the country. • Sample Registry lets you see how it works. • Allows you to purchase gift cards from more than two dozen different restaurants or grocery stores. Great if you are not local but still want to help out! • Offers option to “give more” by making a donation to Feed the Children charity. • Blog has recipes and other info. If the job of coordinating such efforts is usually left to someone else in your circle of friends, church, school or other community group, be sure to let them know about these resources too! If you want to participate in a meal calendar but you do not live close to the recipient, you have a busy schedule, or you’re not the best cook, check out http://www.theTLCkitchen.com! The TLC Kitchen offers chef-prepared meal gifts delivered nationwide. My son committed suicide 5 weeks ago. Obviously it has been a very bad time. A dear friend asked if it was okay to start a ‘meal train’. not knowing what it was or really caring much at the time, I said sure. Don’t get me wrong, I hate to sound ungrateful. Because of this, we have had many delicious meals delivered. Some with so much, I have packaged them up and froze them for future meals. The food is wonderful, and one last thing to worry about. But it has been emotionally exhausting. I have only had one person come, stay about 8 minutes to dump food and go. The rest, have stayed for an hour or two, Haven’t seen some of them in awhile, so have to clean up the house. I have to entertain, show the house, calm the dog, offer drinks, ect. Each long visit, it is expected I ‘tell the story’, etc. Although it is appreciated, it is so mentally exhausting, I really would have rathered ordered pizza, or ate brownies instead, or gone without. I think the same goes for new mothers,etc. Your bleeding, trying to get the hang of nursing, fat and haven’t had a shower in days etc. If your truly trying to help, just drop and go. My old trick with neighbors going through bad things, send the kids with dinner! Maybe you could sit in the car and send the kids up, with a card explaining you didn’t want to disturb. the thoughts are so wonderful, but i truly started to dread the meal train days, and was actually relieved the last official meal, because it was the last time I had to clean up and entertain.. It may not be right, but it is what it is. Heather, I’m so sorry to hear about your son. I cannot even begin to imagine how difficult that must be for your family. You do make a good point though about being mindful when dropping off a meal and asking if it is ok to stay and talk. I can remember being a new mom and feeling so sleep deprived that the last thing I really wanted to do was sit and chat for an hour when that might be my best time to get something else done or even nap. But I felt bad taking the food and closing the door. As someone who is bringing meals to friends, we also have a responsibility to not only provide nourishment by way of the meal but also in respecting our friends and understanding if it is a good time to catch up or save it for another time. Friends kindly set me up for Food Tidings. I would not recommend. The site confused volunteers leading to missed meals. There is a way for people to donate money, which has to be spent on the site. The food is decent quality but so overpriced that I felt guily buying it. $400 bought 3 meals and a bunch of overpriced brownies. Thanks for the feedback Ahleese! Wow, that does sound expensive! I did check out their site before compiling this list but I didn’t remember their food being so pricey! I wonder if it’s gone up since I originally did my blog post. But thanks for letting us know!